UPDATE AT 10:15 P.M. Results are slowly being reported for some rural counties in Nevada. No results have been released for Clark County, which is home to the majority of the voters in Nevada. 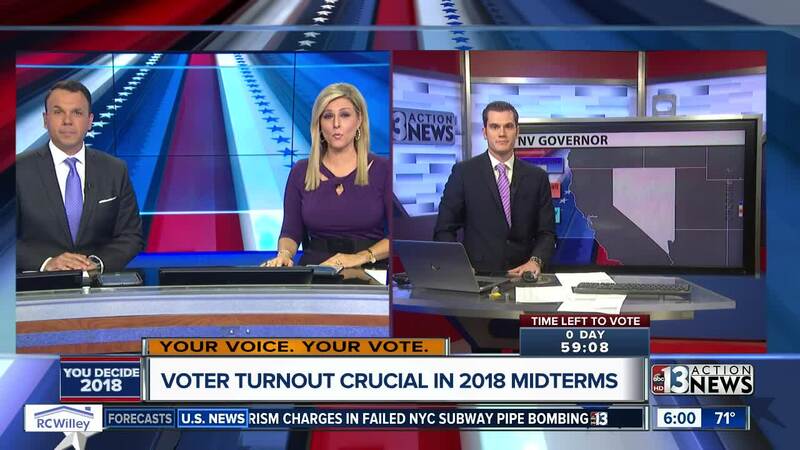 UPDATE AT 9:15 P.M. No voting results for the state of Nevada have been reported at this time. Hundreds, if not thousands, of people were still in line at 7 p.m. when the polls officially closed. Results will not be released until all people have voted. Only Washoe is left with voters in line. Once all voters in line in Washoe have cast a ballot, we will release results. UPDATE AT 7 P.M. People were still standing in line as polls officially closed in the Las Vegas valley at 7 p.m. Although no one else will be allowed to get into line, those who are already in line will be allowed to vote. There are also unconfirmed reports that some polling stations ran out of paper before polls closed. People are still voting in Clark, Washoe, Lyon, and Elko due to long lines. No results will be released until voting has ended in all counties. Results will be posted at https://t.co/IyzZ0RCGZp . 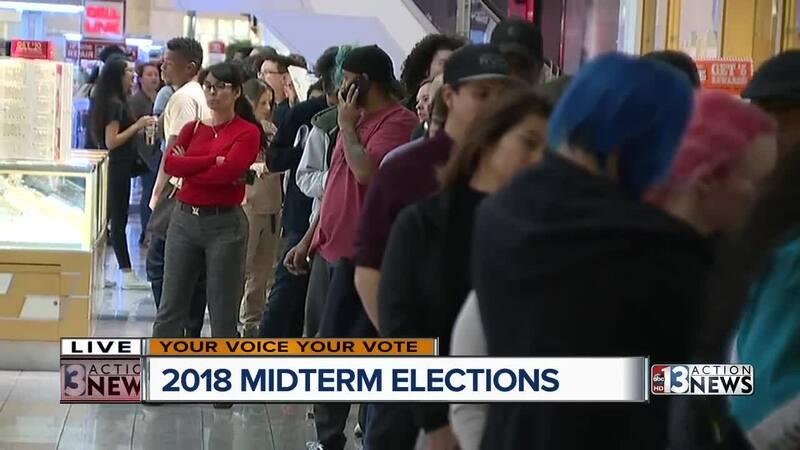 Record-setting voter turnout is being reported around the country. Midterm elections have historically been known for low interest and low turnout. The University of Florida says 38 million Americans voted early. They project that is about one-third of the total number of voters. That means the final total could be around 114 million. That is 48.5 percent of registered voters. In Nevada, about half a million people voted early. 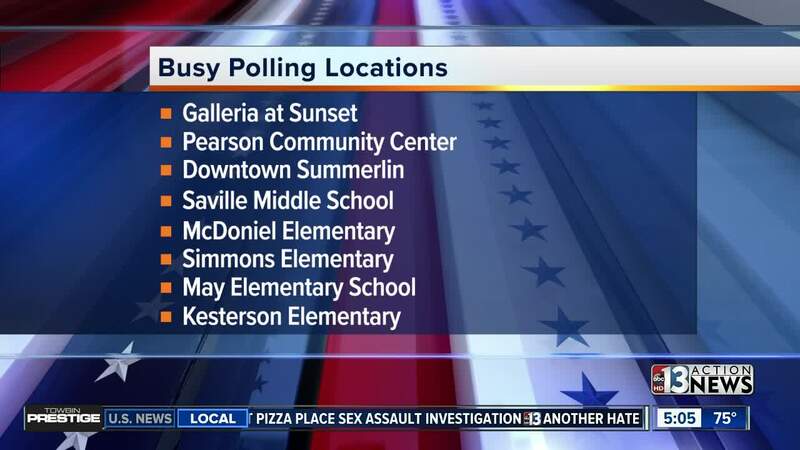 13 Action News is covering local election. We have crews at the watch parties for the Democrats and Republicans and we have crews on the street.